Compare funeral directors in Stirling and read verified reviews on the UK’s online funeral resource. 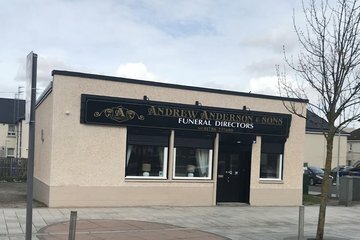 Use Funeral Zone Listings to find local funeral directors in Stirling that meet your specific needs. You can organise the search results by ‘best rated’, 'nearest' or ‘most reviewed’. There is also a handy Google Maps feature so you can see exactly where each funeral home is in relation to each other. As a family we cannot thank Andrew Anderson & Sons enough during our time of sadness. The support , efficiency, advice and decorum provided was of the highest level. Their attention to detail was perfect. Ross was extremely professional, compassionate and friendly. He provided an outstanding service from start to finish. We would highly recommend their services. Excellent service. Kevin was extremely helpful and supportive with all the arrangements. Ross went above and beyond what me or my family could have expected. My Canadian partner died there in Scotland and Ross communicated with me at every step through the process and all with great caring and gentleness. He patiently answered my many questions and contacted other officials there on my behalf. I hold him and his work there in high esteem. I don't know what we would have done without him. Ross made a difficult time a little bit lighter!